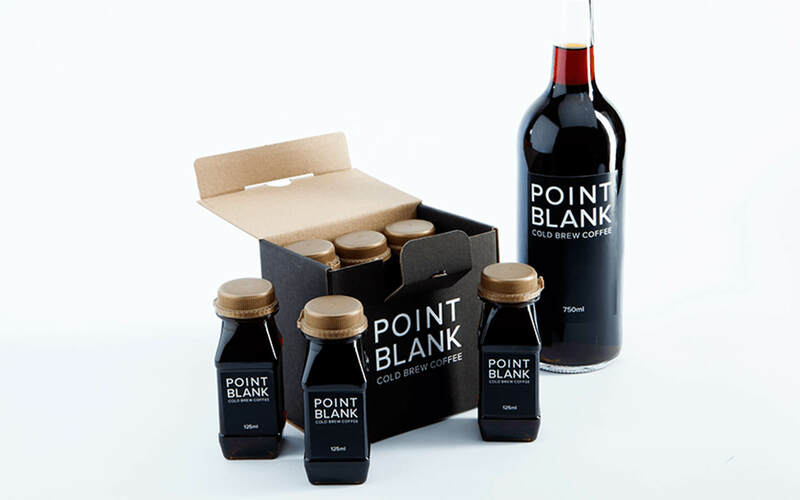 We have recently been involved with the launch of Point Blank Cold Brew Coffee: a new caffeinated product that is less acidic than standard coffee and is sugar-free, fat-free, has no carbohydrates and is also very low in calories. 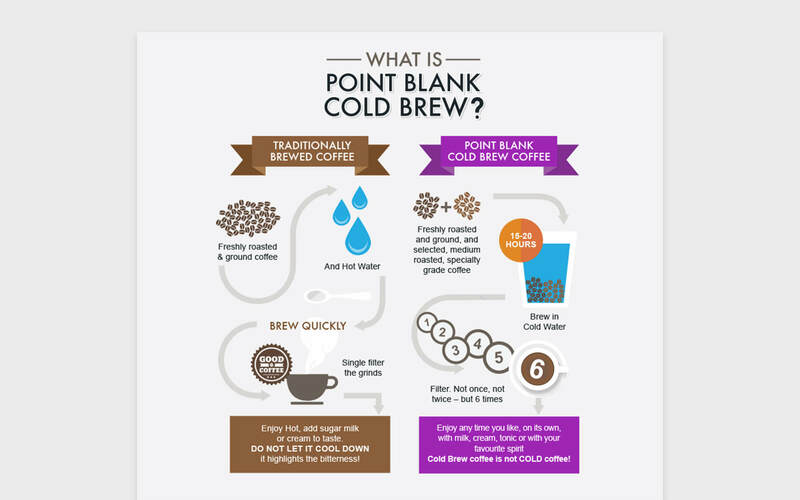 Point Blank approached Cargo to assist mainly with the delivery of a website that would include the added functionality of an online shop. However, we were also asked to assist and advise with the packaging design of the product, which included brand development, product placement, infographics and label design.